Please call for custom quotes or any additional information. I try very hard to keep my pricing competitive and pride myself in delivering high quality services while ensuring my clients are always satisfied with the end product. 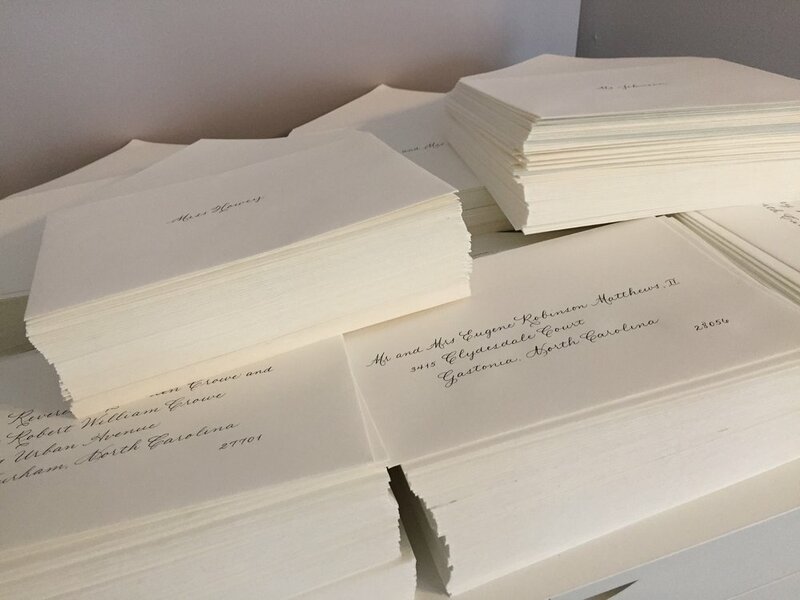 All prices are for unlined, light colored envelopes with black ink and addresses printed flush-left or staggered. Additional fees apply for colored inks and work on opaque or metallic envelopes/papers. Custom work - prices determined per piece. Please call or email for an estimate. Payment is due in full upon completion of project(s). Please request prices for additional services. Introductory classes are available for small groups or individuals. Please complete the form on the "classes" page for additional information. I will gladly accept orders from out-of-area clients and ship all orders, at cost, via either USPS or UPS with insurance equal to the project total.